Creation Date Tuesday, 28 October 2014. 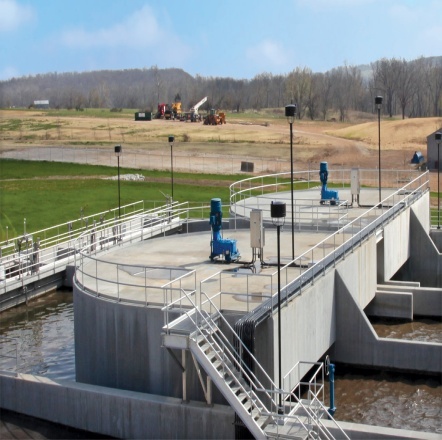 Since the CSD operates a secondary wastewater treatment facility that treats and discharges domestic wastewater into Chanac Creek, the plant is required to operate under a National Pollutant Discharge Elimination System. It is a Clean Water Act that regulates program controls and point sources needed for significant improvement of water quality across the United States. In addition, such facility upgrade must meet new requirements for tertiary treatment of wastewater in the Stallion Springs community. The tertiary treated water potentially saves potable water for residential and commercial use. To further pursue this project, “CSD is currently looking funding sources and to secure a grant to help cover some or all of the cost,” Garrison added. The use of any wastewater treatment systems provides an alternative solution for treating domestic from residential communities. Aqua Solutions has a vast selection of water purification systems like Type I DI Systems for use on pre-treated water engineered for high capacity water applications. Learn more about our full spectrum of Type I DI Systems at www.aquaa.com/type-i-laboratory-water-purification-systems-for-pre-treated-water.